Sam Smith is in-studio with Zane Lowe on Beats 1 on Apple Music as his new video for Dancing With A Stranger with Normani is released exclusively for 24 hours on Apple Music. He chats about working with Normani on their latest track, Dancing With A Stranger. He talks about releasing music now and how not waiting for an album “feels more honest.” Sam also discusses how he wants to “lighten it up” on his next album, and that he’s been writing in Los Angeles. The singer chats about working with Calvin Harris on Promises, and his recent eye surgery. 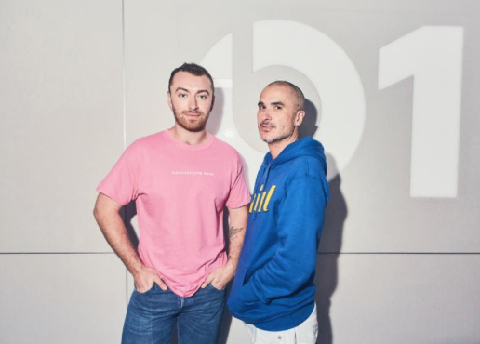 Tune into the full interview with Zane and Sam Smith on Beats 1 on Monday, January 28th at 10am LA/1pm NY/6pm LDN [apple.co/B1_ZaneLive].